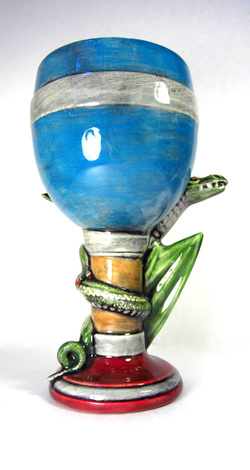 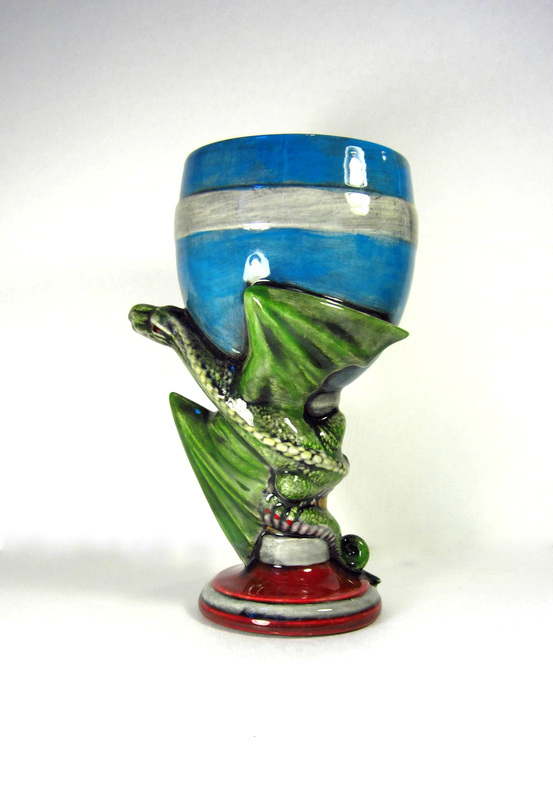 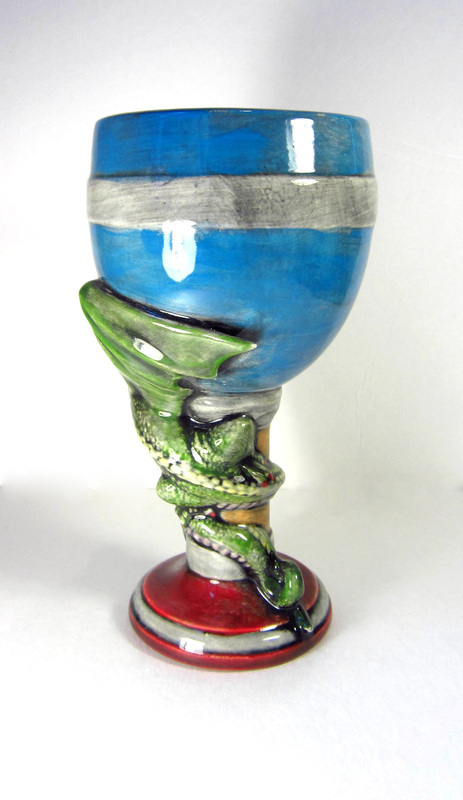 Ceramic hand made dragon goblet! 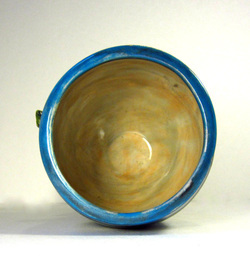 For the dinner table with ample imagination: It is dishwasher safe and finished with a non toxic (lead free) glaze. Perfect for wine, mead, or whatever you fancy! Goblet can be customized, include preferred colours wi).th your order. 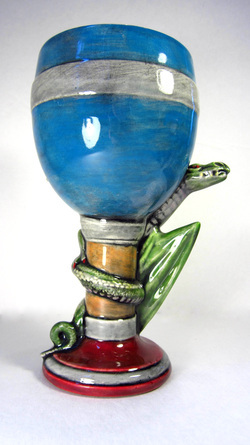 The goblet holds a lot of liquid due to its large volume (4 inch diameter). An impressive piece for the dinner table!